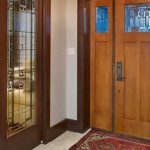 You are here: Jinydoor > Blog > What Type of Front Door Material Is Right for Your House-front door supplier? 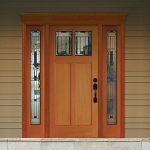 front door supplier–Wood, fiberglass, steel or solid glass—there are a variety of options to suit your preference, your style and your budget when it comes to choosing an exterior door. So, you’re wondering what type of front door material is the perfect choice for your home. You’re not alone. The number of styles and options leave much to your personal taste, but you can narrow down the material choices for exterior doors into four main categories: wood, fiberglass, steel and glass. 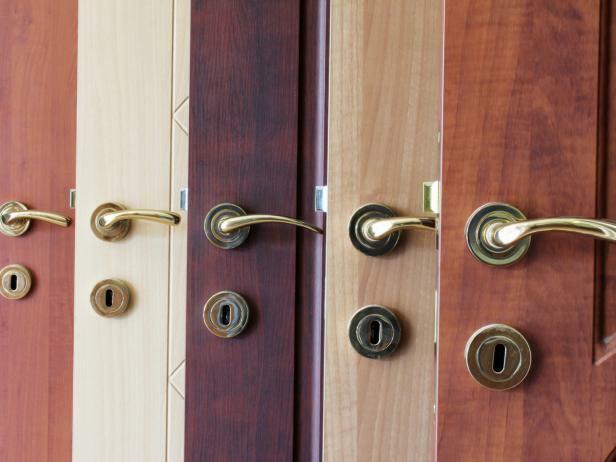 Read these basics on each of the options before shopping for your next entry door. If you want the look of wood with a bit more durability, consider a fiberglass entry door. These doors can be stained in a variety of colors to give you the same beautiful look of traditional wood. They can also be ordered in numerous hues or painted in any color of your choice. As noted, they are more durable than traditional wooden doors and generally stand up against small dents and nicks. Fiberglass entry doors also have an insulated core, which offers additional protection from the elements. When it comes to cost they may be slightly more expensive than wood options; however, their long-term energy savings may be enough to pay you back down the road. 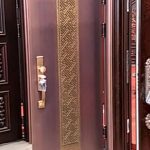 If you choose a steel front door supplier, know that you are potentially choosing one of the safest options in terms of intrusions. Metal entry doors have insulated foam with a steel panel on either side. However, while this may make them extremely strong and help to keep cool winds from creeping into your home, if the door does get a dent it can be hard to repair and will likely not pop out of the material. This may result in the need to replace the entire steel entry door.